This dog and whale models are so fun looking and easy to fold. I used origami paper with funny patterns. I choose the cupcake for the dog and the umbrella for the whale. I really like how they turn out. So, down below you can find the information you need so you can fold it yourself. Have you folded any of those two models? Did you have fun doing so? Or what are your favorite animals? Let me know in the comments. Oh my gosh, this the cutest. Great job! I’ll have to show my daughter. She’ll want to make one. I have always been fascinated with origami, but I have never been very good at it! Maybe I can try my hand at this one! SUPER cute! OH, I love it! So fun and super creative!! Oh my gosh, they are both so cute! I am not very good at crafts but that dachshund is so adorable I might just try my hand at making him. Origami fascinates me and I love to try it, plus I think I am going to make my son try it so that he can have something to do instead of jumping off sofas and screaming. Origami is pretty cool and this is great! I have tried before but it never seems to work out like the picture I’m trying to follow 🙂 Nice job. origami is really awesome, i dont honestly have the patience for it, but a friend of mine makes really cool figurines. gonna have to try it out again. 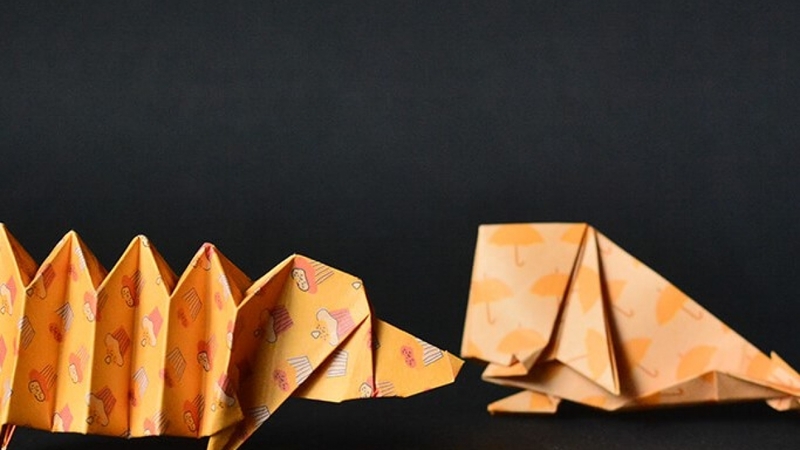 Haha origami Dachshunds, so cute! We have a little Dachshund of our own, so this might be a fun craft to do with my little man! OMG these are so cute!!! Making a wiener dog right now! I have never been too successful with origami before. I think I managed to do a swan once. But these designed look cool enough for me to give origami another try. I used to do oragami as a child. I love the fun paper stock you did this with so cute! This is too adorable! Thanks for sharing. now I can make more than just flowers and paper boats. My first born is into origami thus I love buying him papers and books about origami.. when we celebrate life’s milestones, we just decorate the house and he would often.hang.his origami at our ceiling. Love origami! Thanks for the easy to follow instructions. This one was amazing! My kids love badger dogs, and this is something we could do together. I will definitely bookmark this and keep up the good work!